There is a strange moment in time, after something horrible happens, when you know it’s true, but you haven’t told anyone yet. Science doesn’t tell us what we should do. It only tells us what is. For scientists, reality is not optional. I learned to write by reading the kind of books I wished I’d written. To live is to change, to acquire the words of a story, and that is the only celebration we mortals really know. Misunderstanding is my cornerstone. It’s everyone’s, come to think of it. Illusions mistaken for truth are the pavement under our feet. God doesn’t need to punish us. He just grants us a long enough life to punish ourselves. People read books to escape the uncertainties of life. People love to read about sins and errors, but not their own. If we can’t, as artists, improve on real life, we should put down our pencils and go bake bread. I attempted briefly to consecrate myself in the public library, believing every crack in my soul could be chinked with a book. I’m of a fearsome mind to throw my arms around every living librarian who crosses my path, on behalf of the souls they never knew they saved. 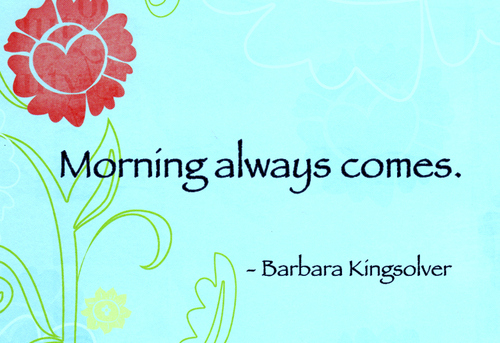 Barbara Kingsolver is an American novelist, essayist and poet. She was raised in rural Kentucky and lived briefly in the former Republic of Congo in her early childhood. Kingsolver earned degrees in biology at DePauw University and the University of Arizona and worked as a freelance writer before she began writing novels. Her widely known works include The Poisonwood Bible, the tale of a missionary family in the Congo, and Animal, Vegetable, Miracle, a non-fiction account of her family's attempts to eat locally. Kingsolver has received numerous awards, including the Dayton Literary Peace Prize's Richard C. Holbrooke Distinguished Achievement Award 2011, UK's Orange Prize for Fiction 2010, for The Lacuna and the National Humanities Medal. She has been nominated for the PEN/Faulkner Award and the Pulitzer Prize. 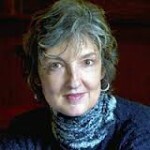 In 2000, Kingsolver established the Bellwether Prize to support literature of social change.